Today at the first Google News Initiative Innovation Forum in London, we heard from Claire Wardle of First Draft, Lisa Gibbs of the Associated Press, Daniel Bramatti of Abraji, Marie-Louise Timcke of Funke Media Group and Dmitry Shishkin of BBC World Service about the future of news. Covering topics like how to stop the spread of misinformation in the lead up to elections worldwide to how to establish creative new voices in the world of data journalism, these experts gave us insight into the big questions that are top of mind for the industry. In addition to hearing from these speakers, we shared updates on four key ways we will collaborate with the news industry in the coming year. In June, we shared a set of principles that guide how our company approaches the development of AI. As we saw with efforts like the New York Time’s use of Perspective to foster community and healthy conversation in their comments section, AI has the potential to enhance storytelling and newsroom processes. To bring AI to the news industry in more ways, the Google News Initiative (GNI) is partnering with Polis, the international journalism think-tank at London School of Economics and Political Science to create Journalism AI. The program will focus on research and training for newsrooms on the intersection of AI and journalism. As a part of Journalism AI, next year we’ll publish a global survey about how the media is currently using—and could further benefit from—this technology. We’ll also collaborate with newsrooms and academic institutions to create a best practices handbook and produce free online trainings on how to use AI in the newsroom for journalists worldwide. After testing with partners over the last two years, we’re introducing a new tool called Google Earth Studio. Google Earth Studio is an animation tool for Google Earth’s satellite and 3D imagery. The tool empowers graphics specialists with new ways to leverage Google Earth imagery for storytelling. We’re inviting newsrooms around the world to start using the product for the first time. To learn more and sign up, visit g.co/earthstudio. Last year, we announced a partnership with the European Journalism Centre to create a new version of the Data Journalism Handbook. The project is one in a series of initiatives by the GNI to help journalists understand incorporate technology into their work . 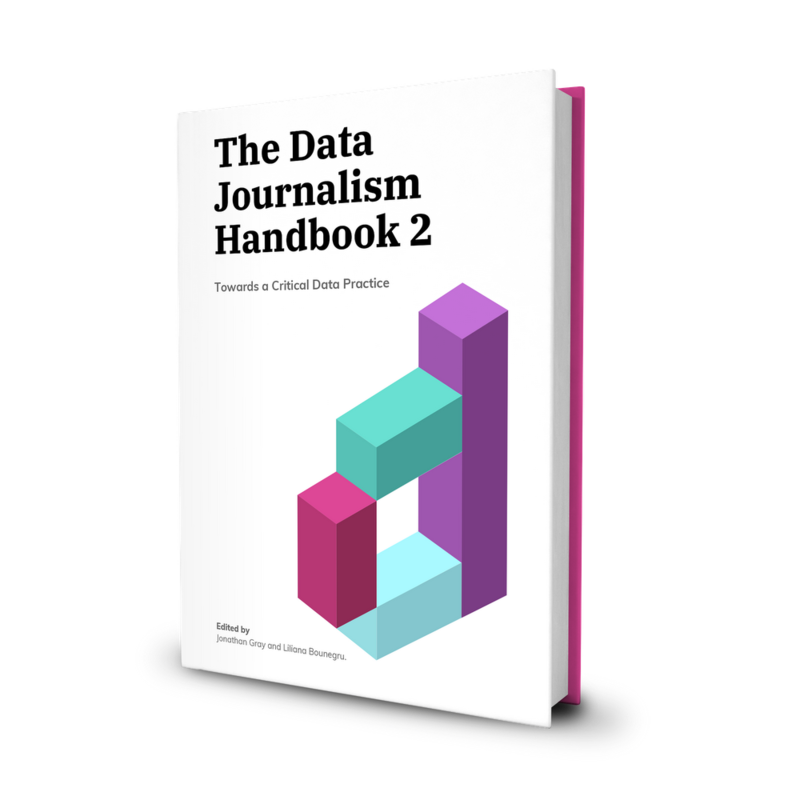 The cover of The Data Journalism Handbook 2 that’s available online and in print in 2019. Available online starting today and in print next year, the book covers topics like working with data, training data journalists and investigating data sources. The handbook is written by diverse group of data journalists including chapters from Buzzfeed’s Lam Thuy Vo on storytelling with social media data from, Spiegel Online’s Christina Elmer on collaborative data journalism investigations and Meredith Broussard of New York University on best practices around archiving data journalism. For the last four years, we’ve provided free training to journalists on a range of tools reaching more than 140,000 people in-person. We’ll continue these workshops, but to make them accessible to more people, we’re revamping our free online Training Centre. Our trainings on Google tools for journalists are now available in 16 languages—including Indonesian, Thai and Turkish. We’ve also added an optional sign-in feature to help you track your own progress. Today’s announcements from the GNI Innovation Forum are examples of our deep commitment to partnering with the news industry to enable the creation of quality storytelling that helps people understand the world around them.